From time to time I re-evaluate what I currently do and what I have done in the past. One of these re-evaluation reflection sessions led me back to the realization that bringing in the news needs to be a necessary part of my classes. I can’t teach children about how literature is reflected in their lives if I don’t allow them to talk about their lives and learn about the lives of others. Years ago, I showed CNN Student News in my class 3 days a week and I had my students to record facts from the broadcast. We were able to track stories and see how the news developed. And then… the school year ended and I didn’t continue showing the broadcasts. I really don’t know why I stopped. ?? I have since seen the errors of my ways and I have started showing the broadcasts again. I laugh when Carl Azuz does the ‘Shout Outs’ and my kids shout out the answer and I feel bad when he mentions a school/class during the school roll call and they all look at me with disappointment because our class wasn’t mentioned. CNN’s Student News has great classroom resources: option of downloading podcast version. transcript, Daily Curriculum worksheet, etc. They have made it extremely easy to bring the daily news into the classroom. Below is an example of the worksheet that can be copied and shared with the class. Do you share the news with your students? If not, think about it. It is beneficial and enlightening. 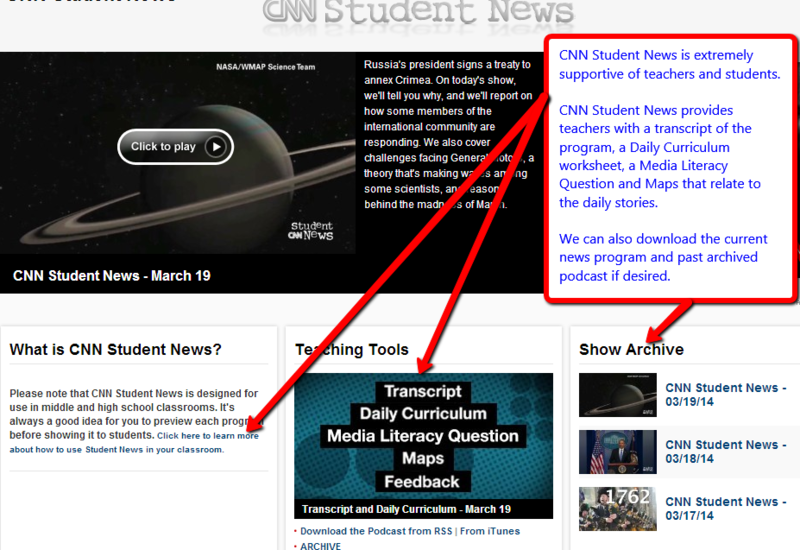 Try sharing the CNN Student News with your class and see what happens. 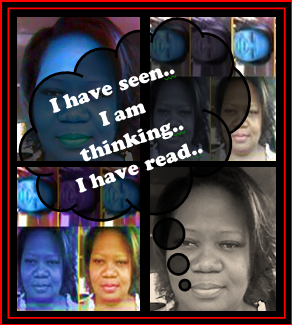 Posted on March 22, 2014 by Ms. B.. This entry was posted in CCSS, Curriculum, My Class, My World. Bookmark the permalink.